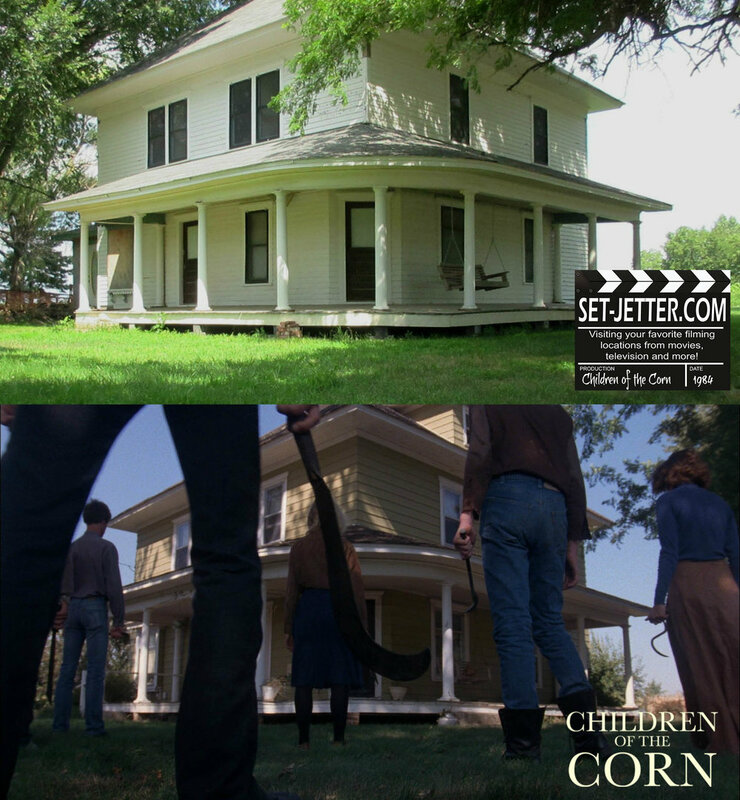 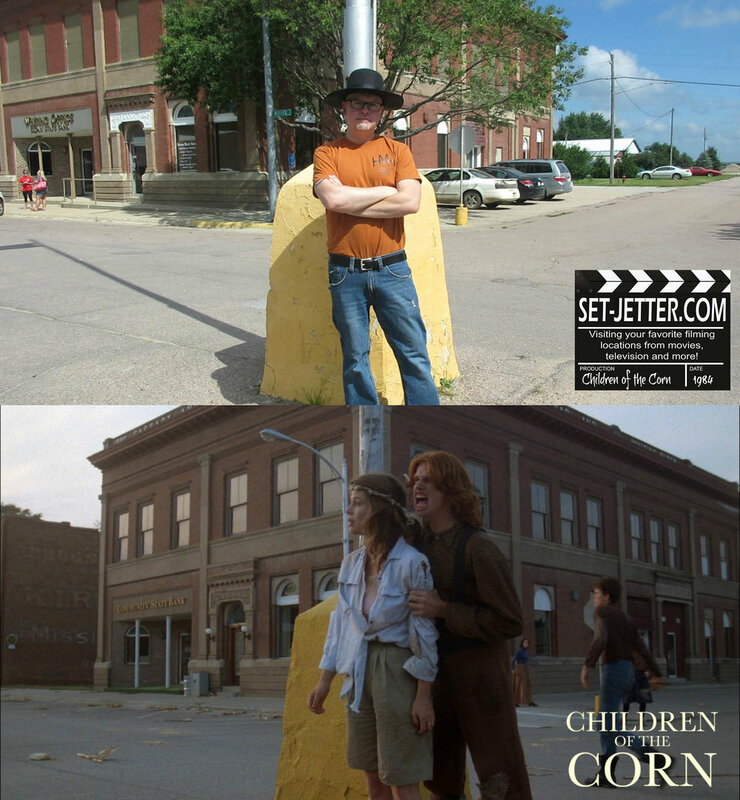 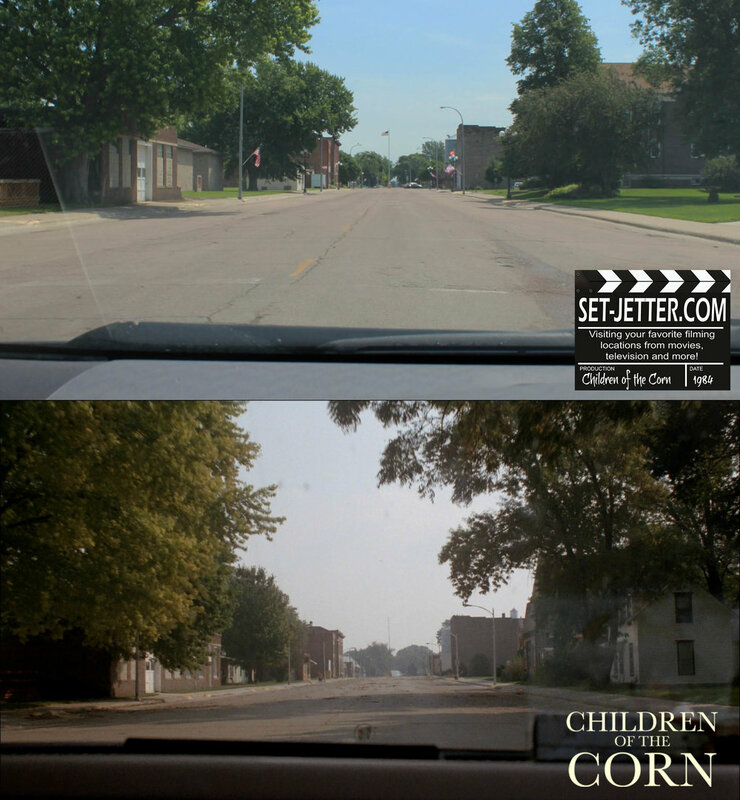 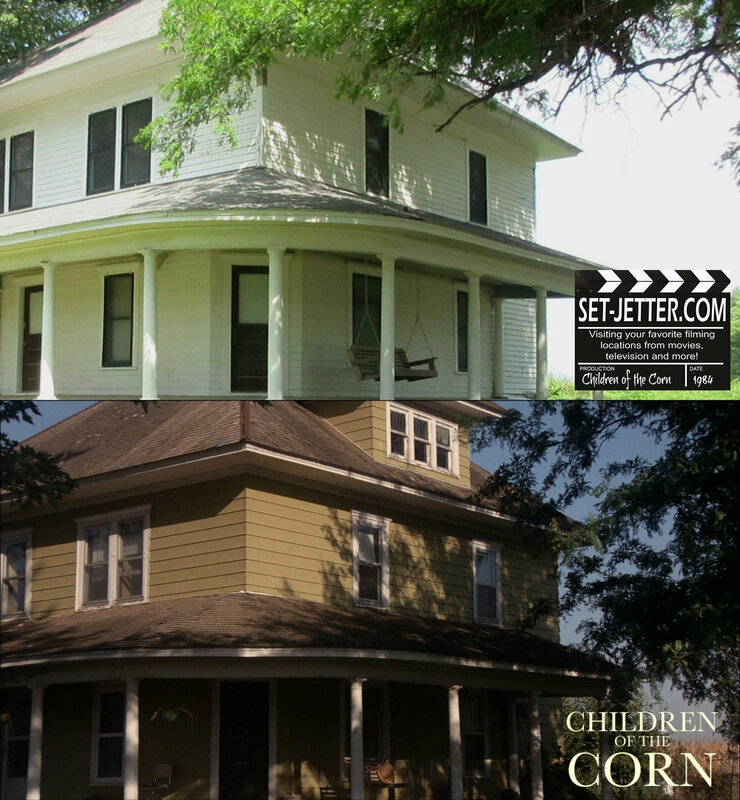 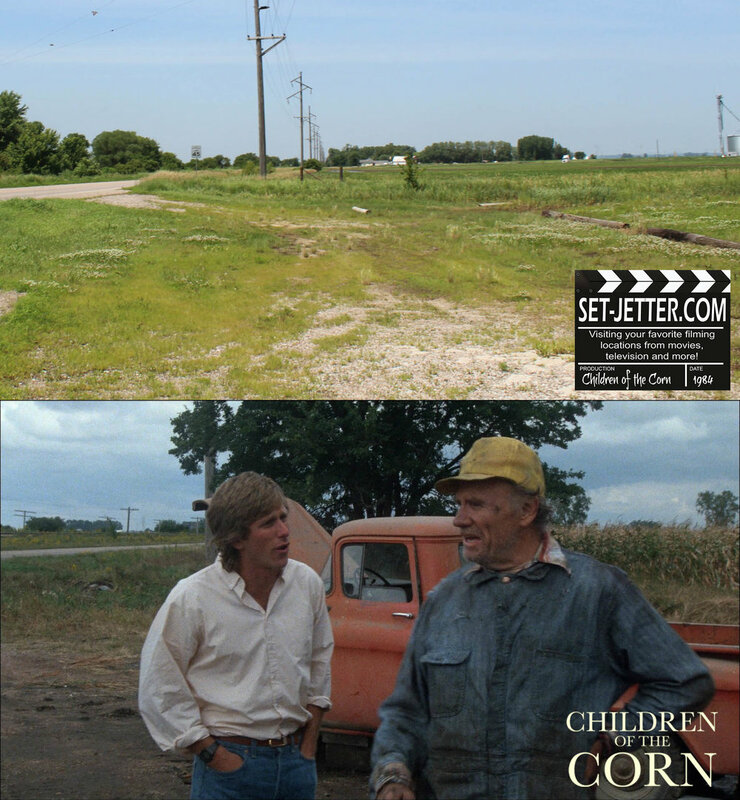 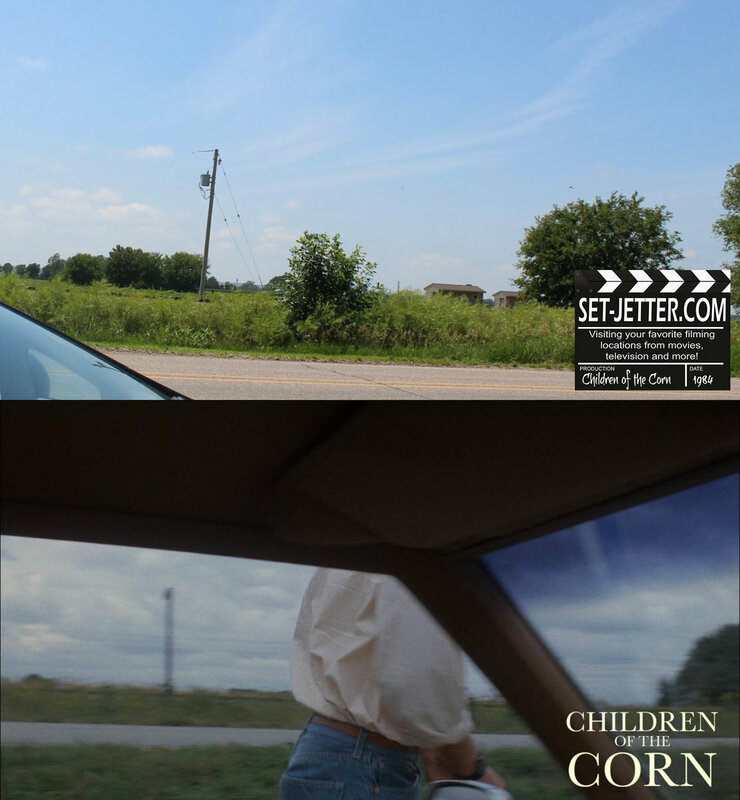 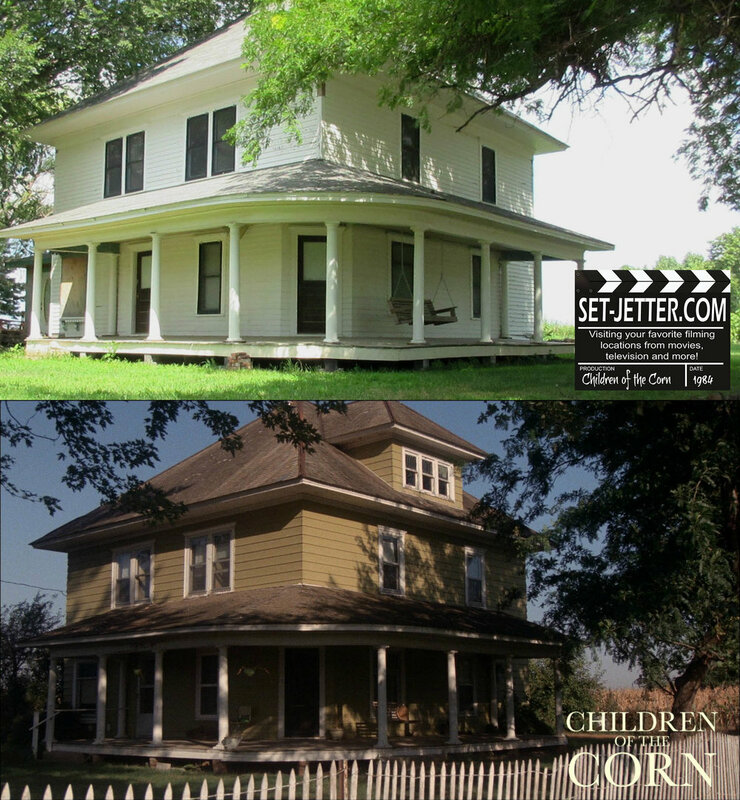 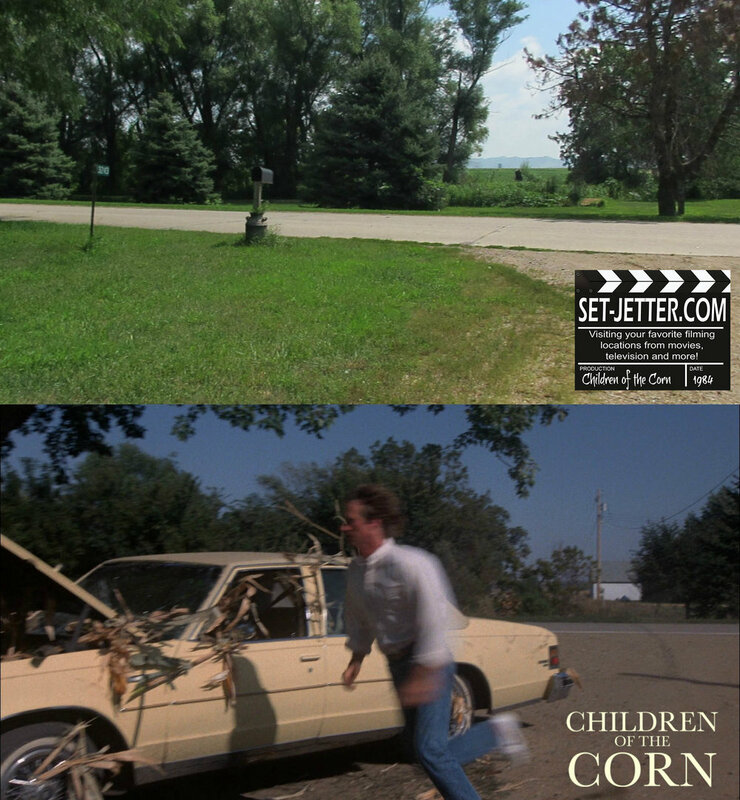 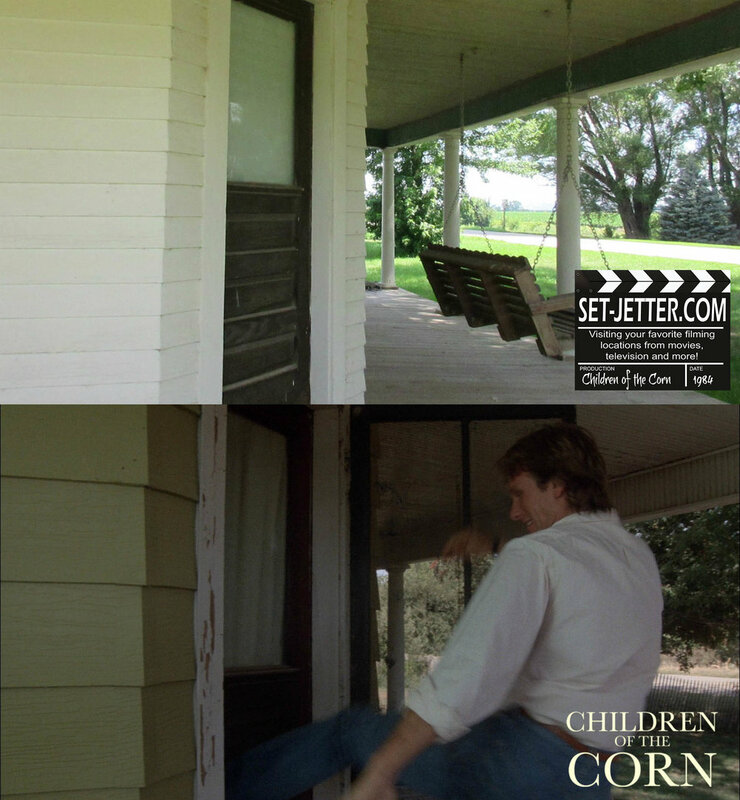 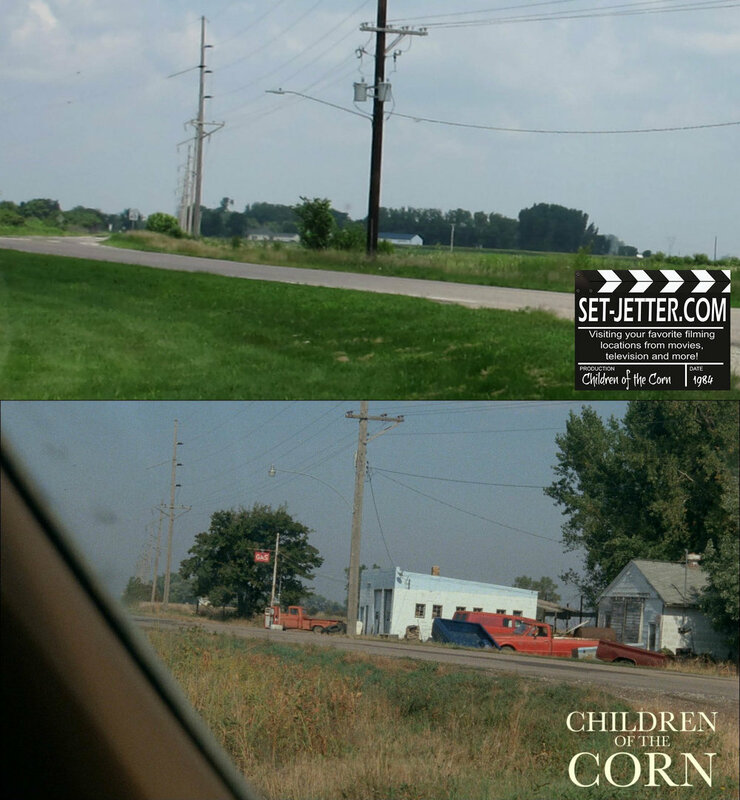 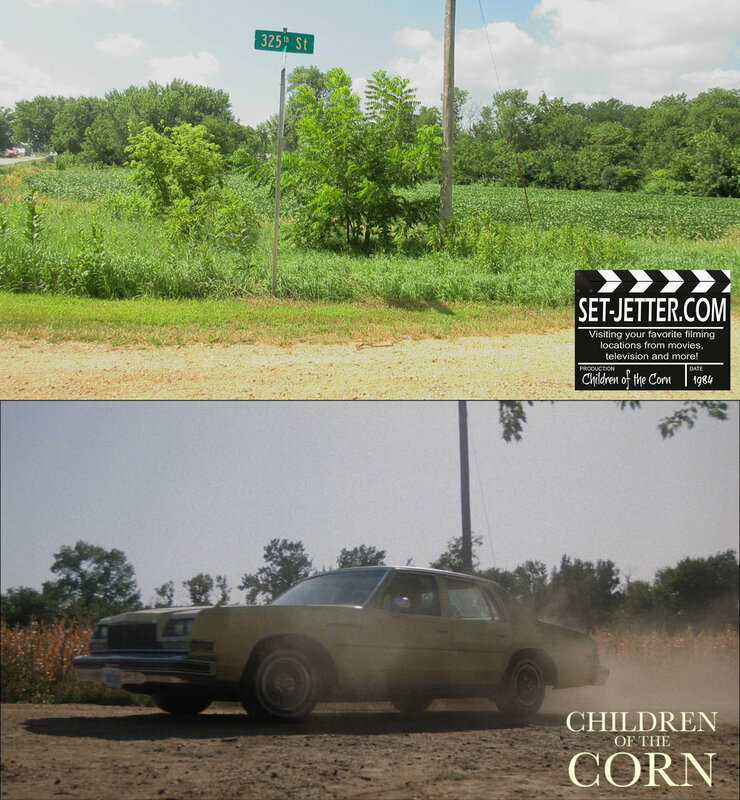 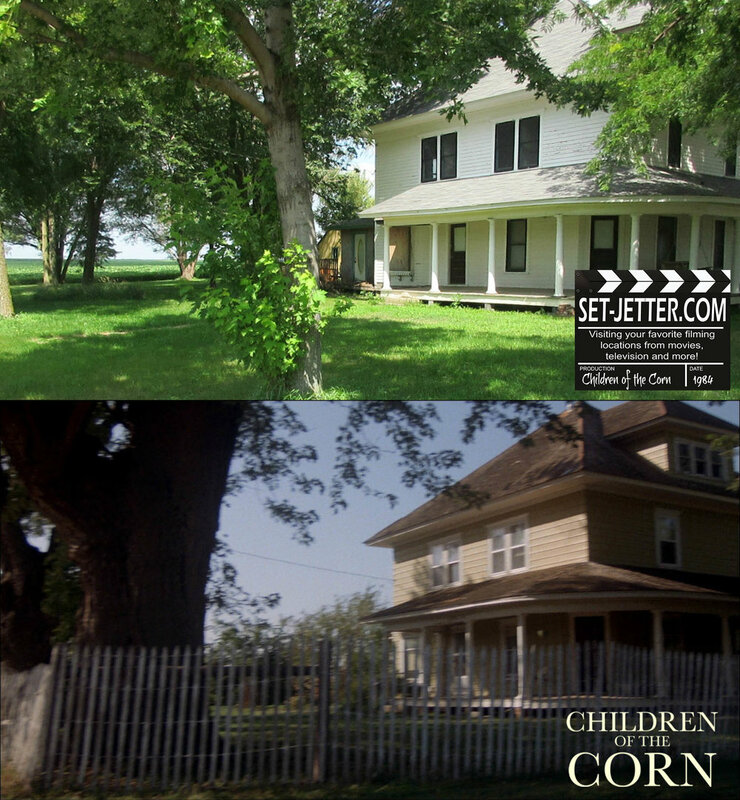 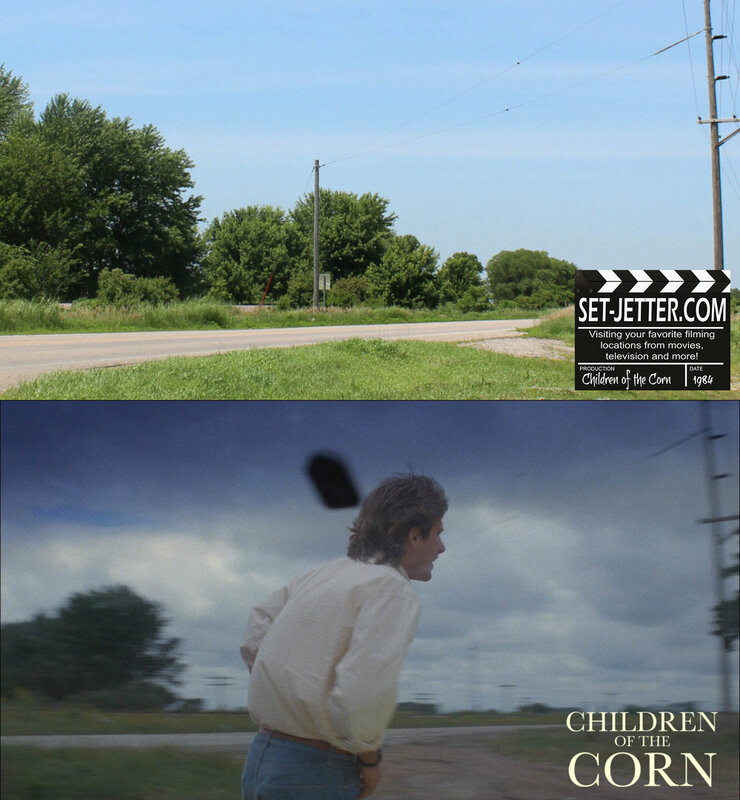 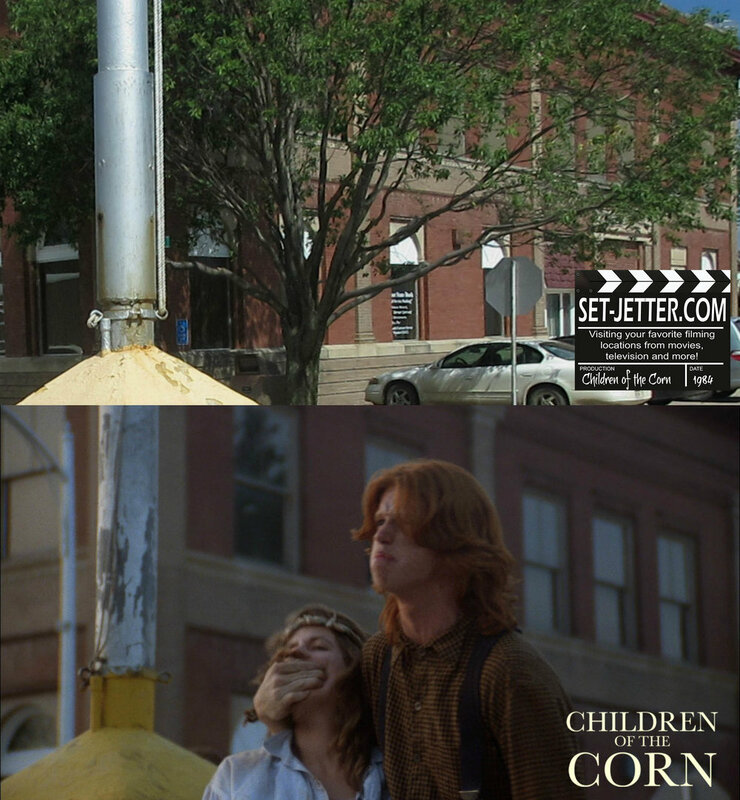 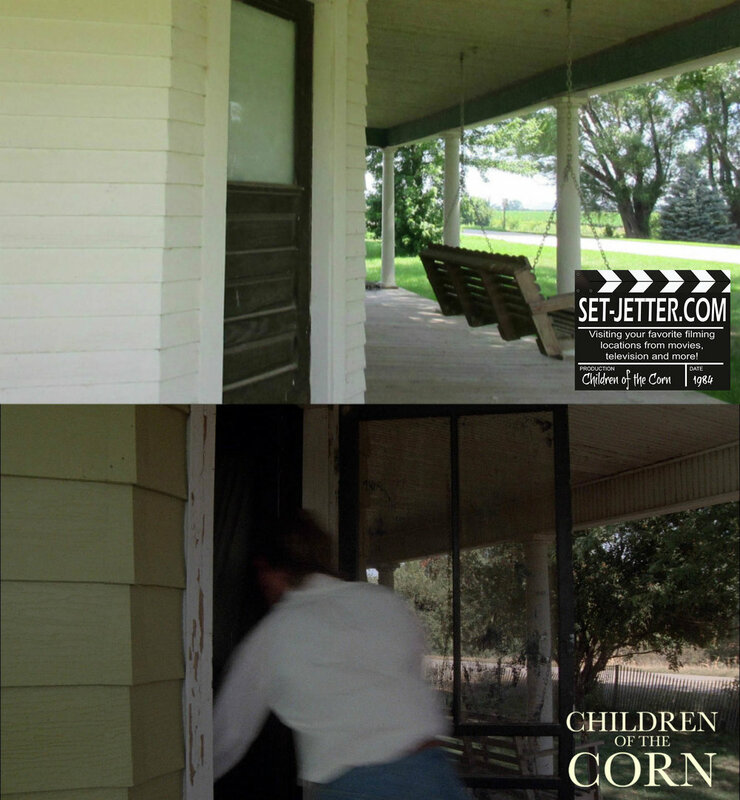 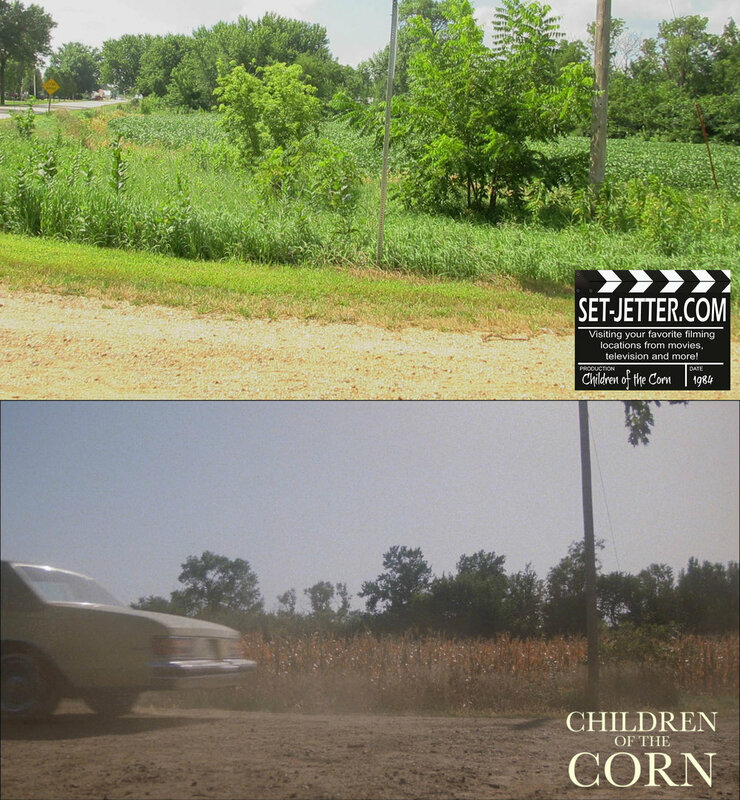 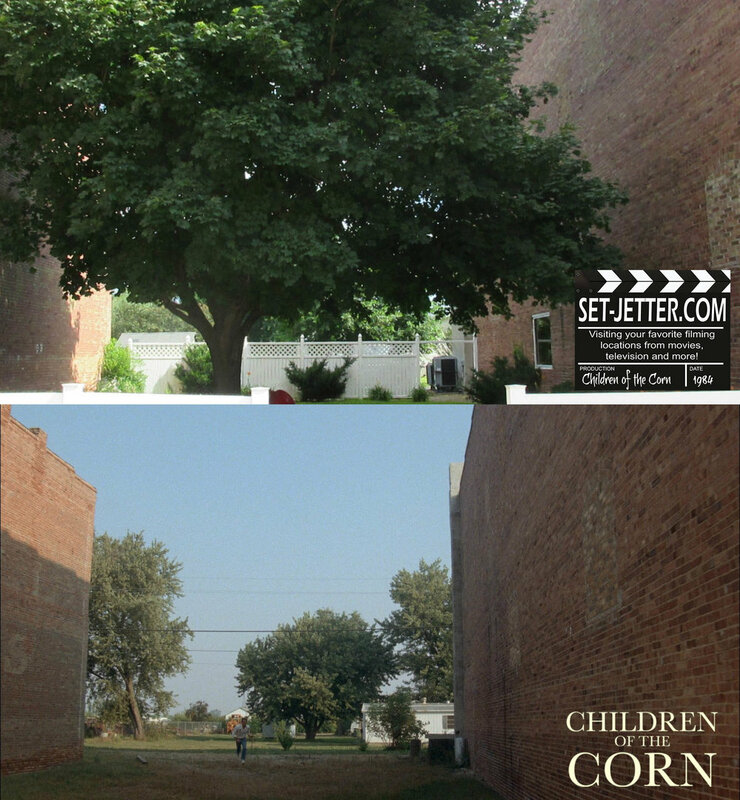 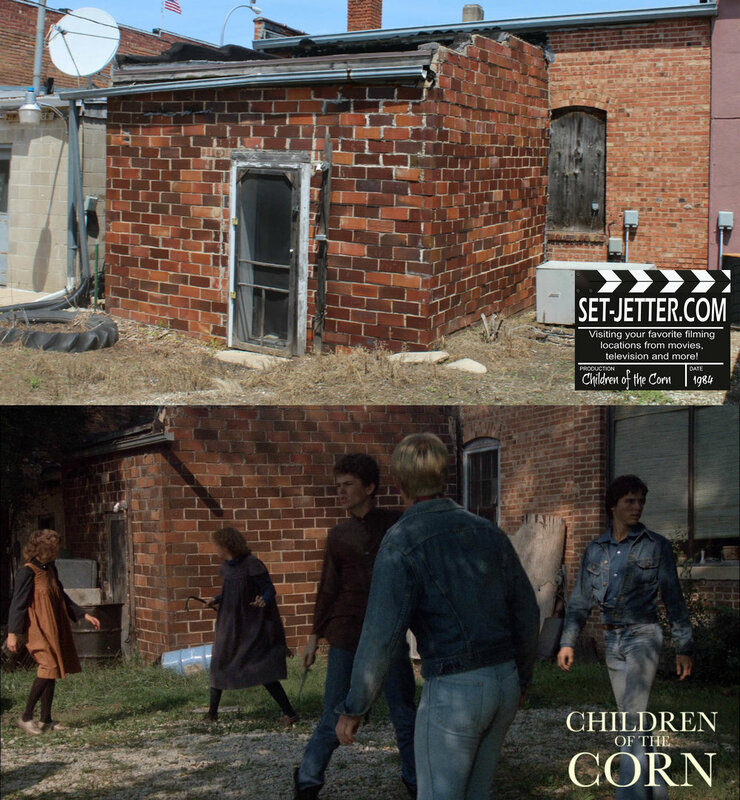 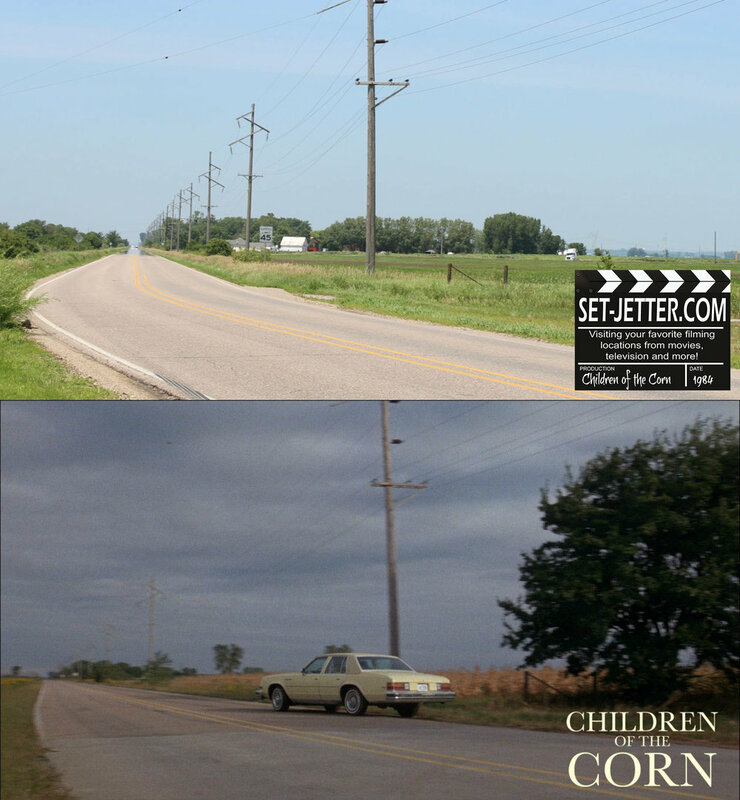 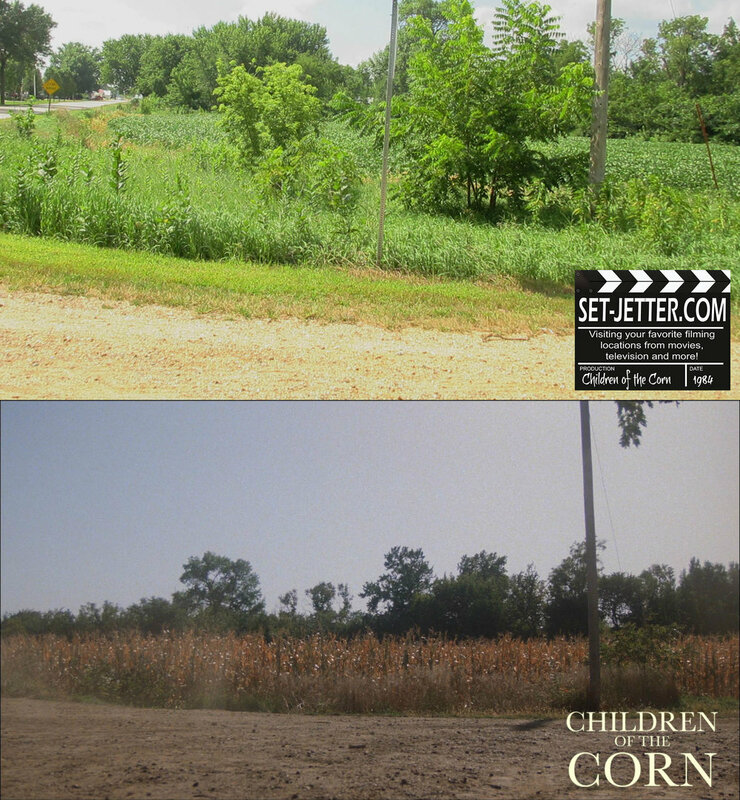 Being from Nebraska, rarely do I have the opportunity to visit film locations in my own backyard, but luckily Children of the Corn (1984) was shot mostly within a couple hours of my house. 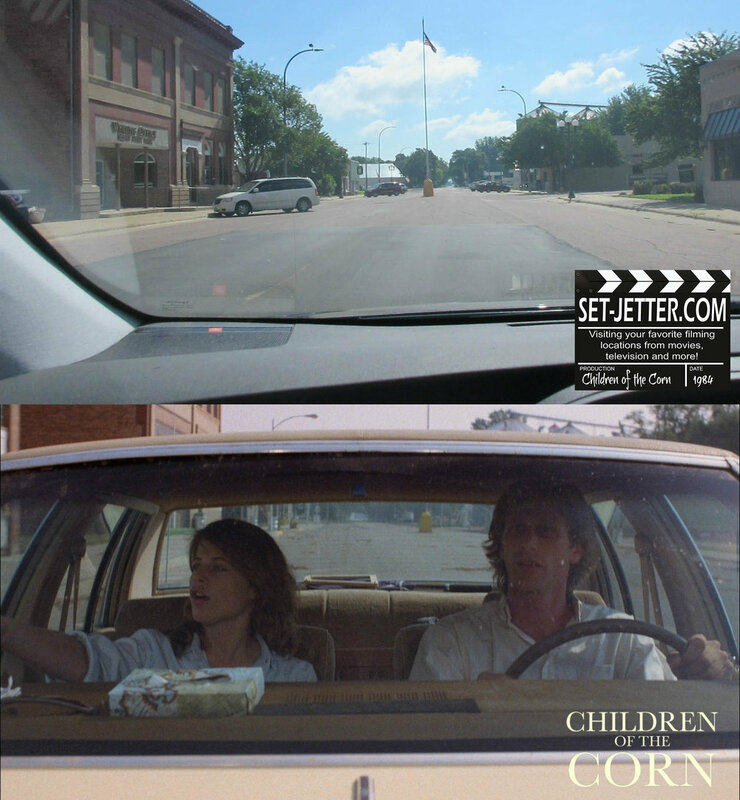 Although it is supposed to take place in Nebraska, filmmakers crossed the river to Iowa for the locations in a number of small towns in eastern Iowa. 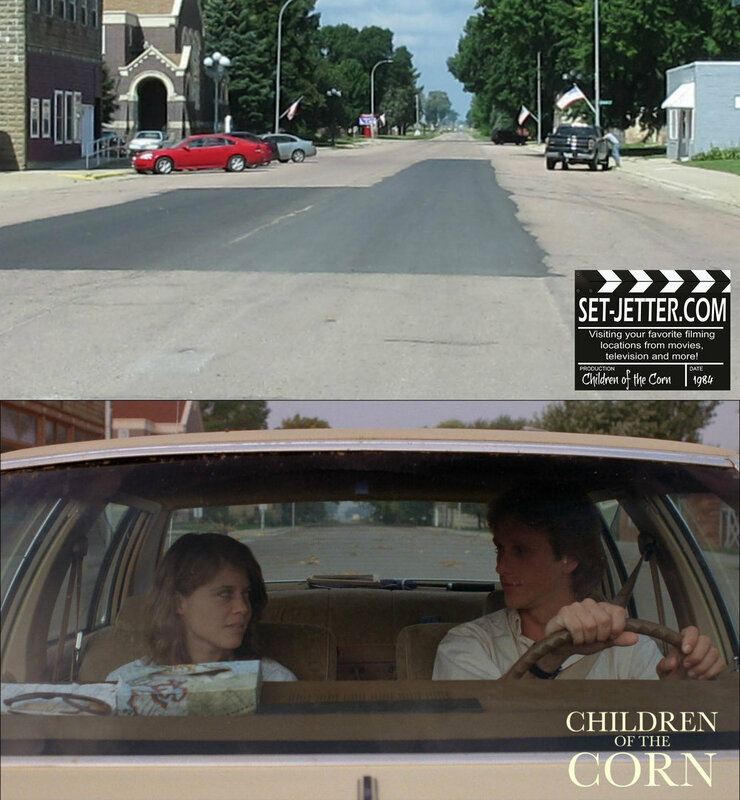 Today marks the 35th anniversary of the movie, released on March 9, 1984. 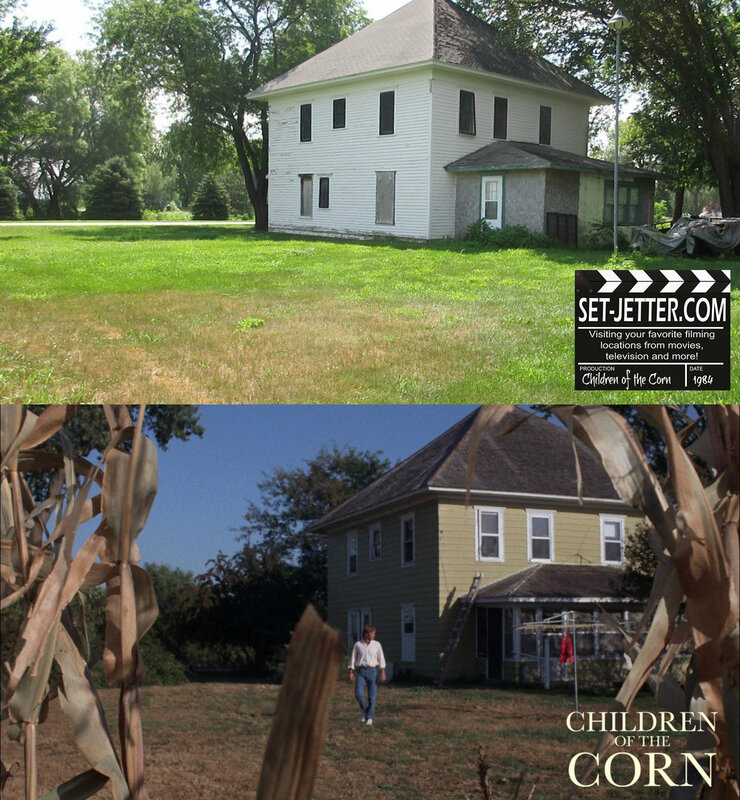 Keep a look out for my Horror’s Hallowed Grounds article on this in the new issue of HorrorHound magazine. 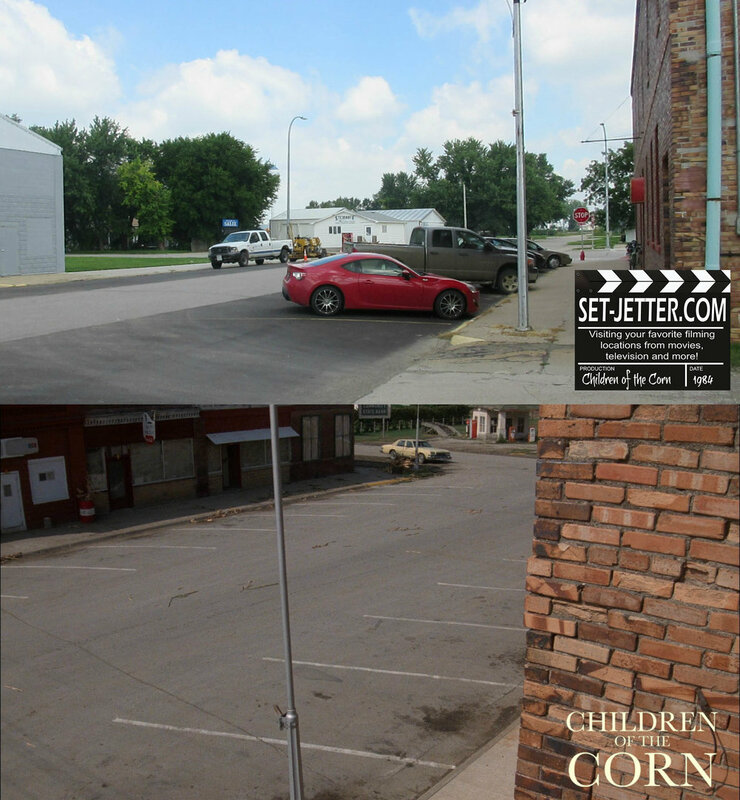 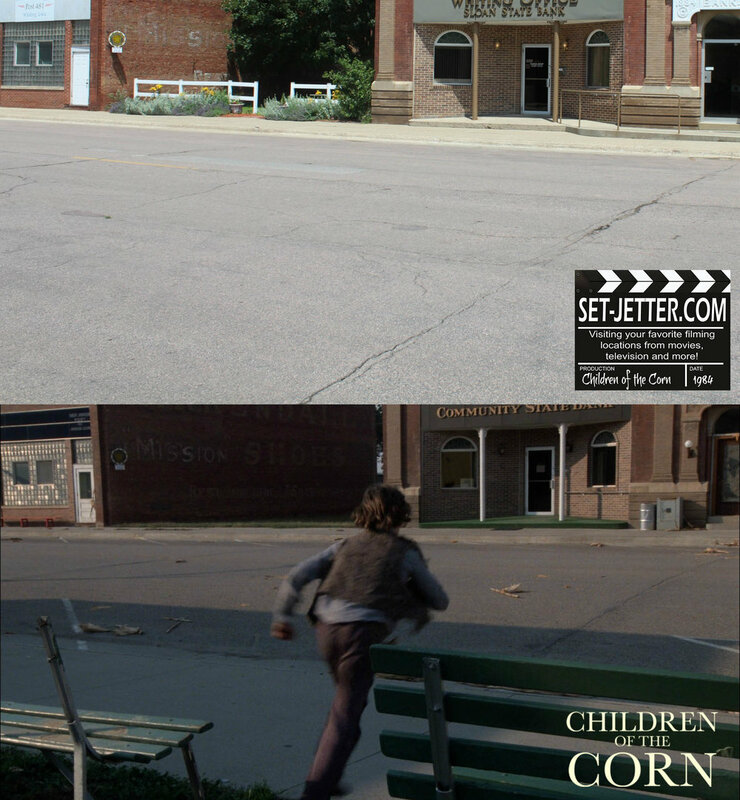 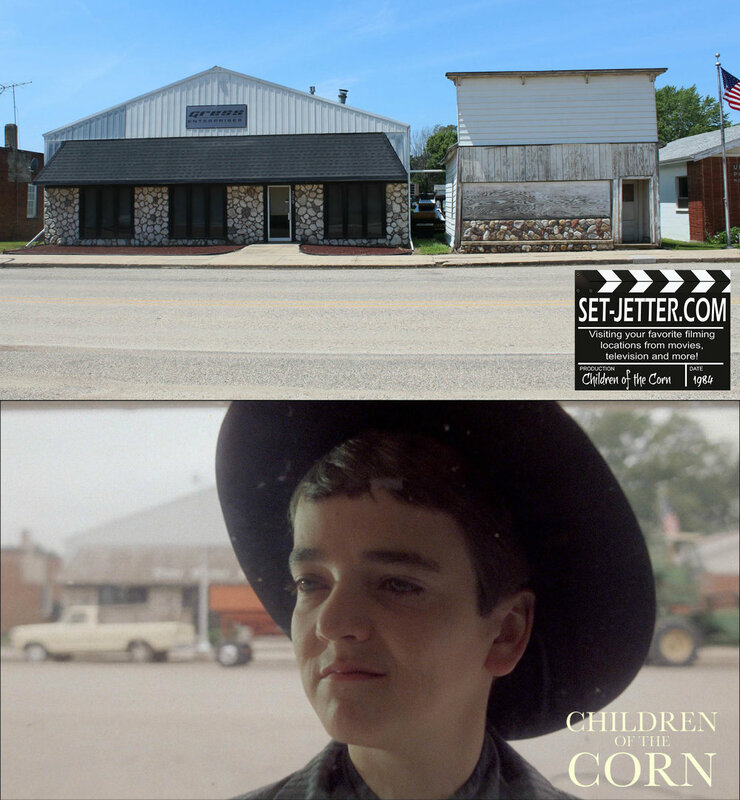 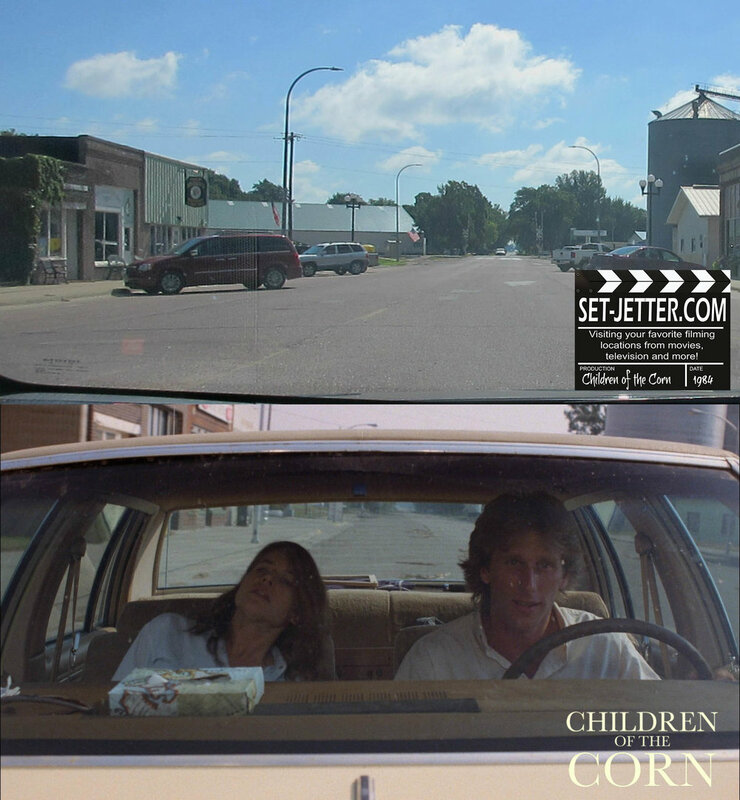 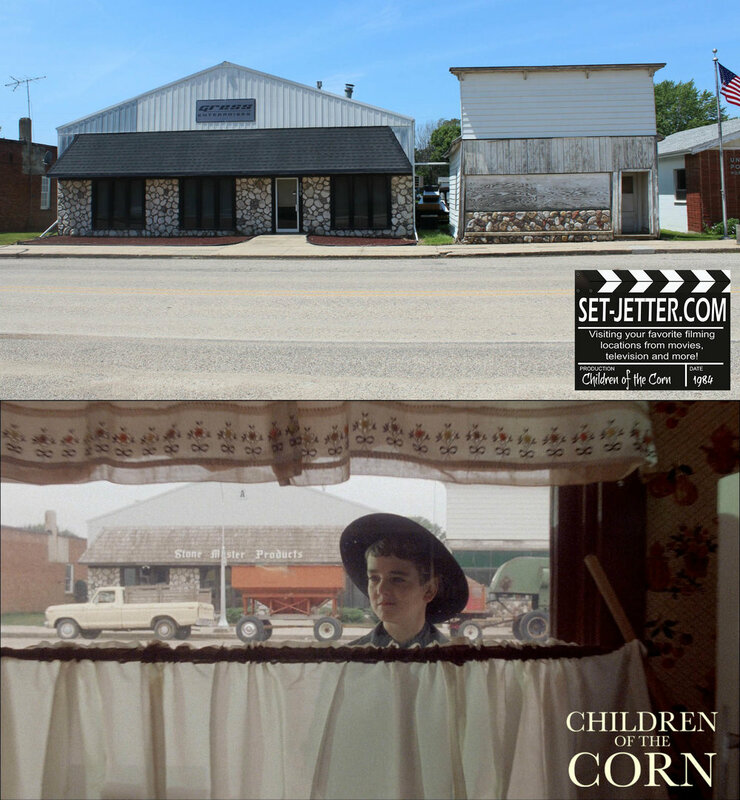 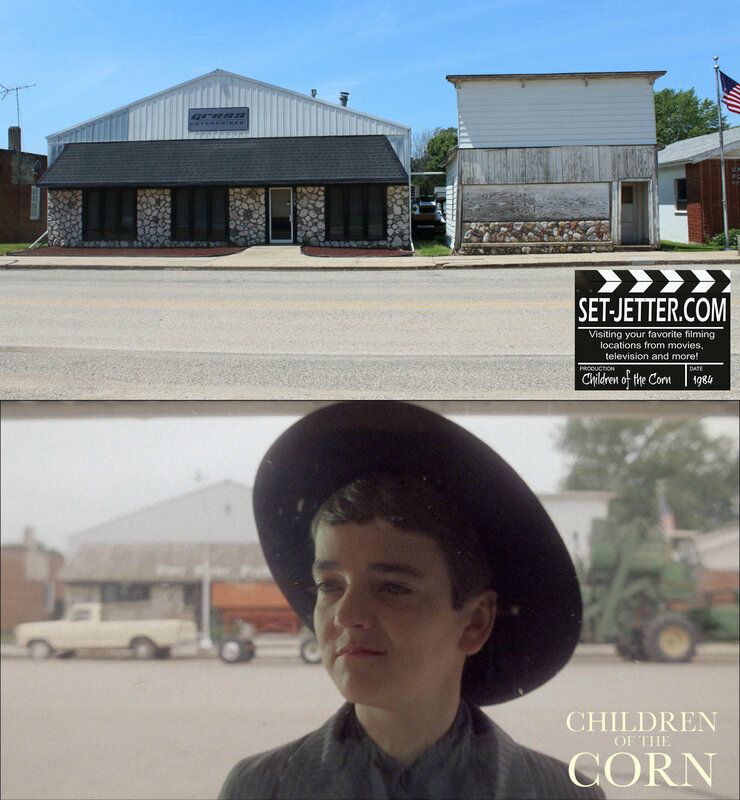 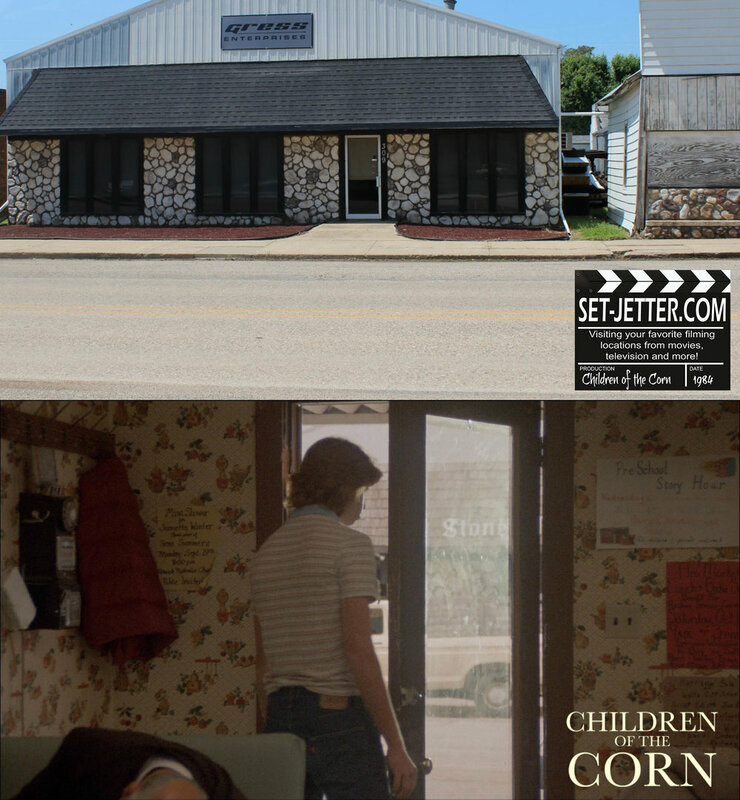 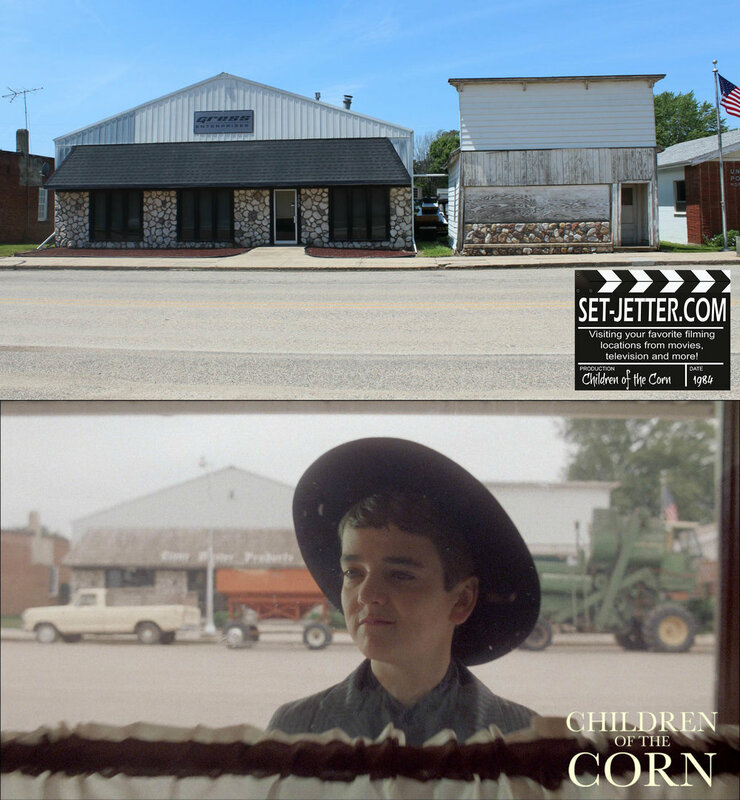 The location for the flashback scene where the children murder the adults at the diner is sadly gone, but you can still see the buildings across the street from the original location, at 312 Main Street in Hornick, Iowa. 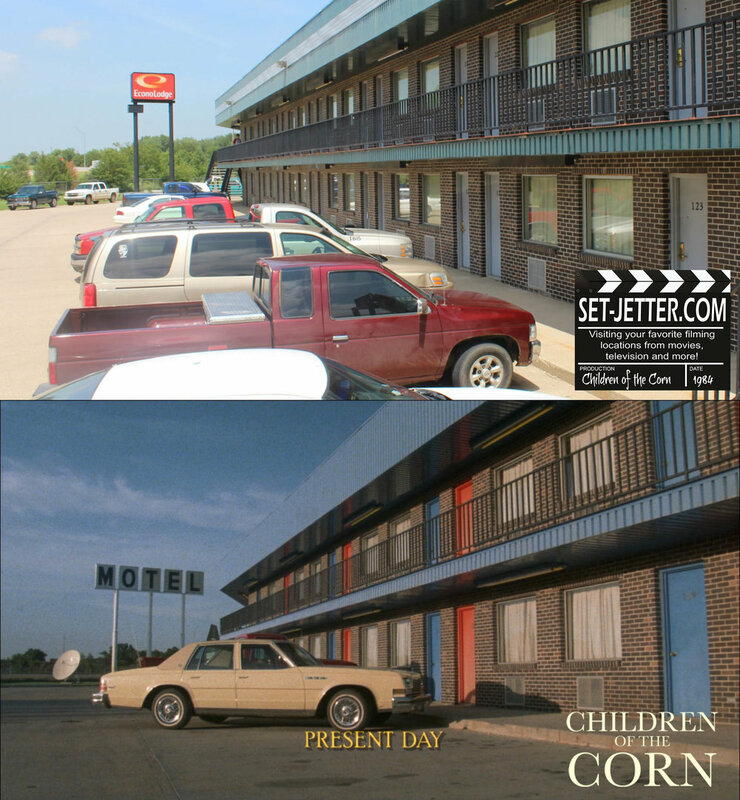 The current day scenes begin with Burt and Vicky at a motel. 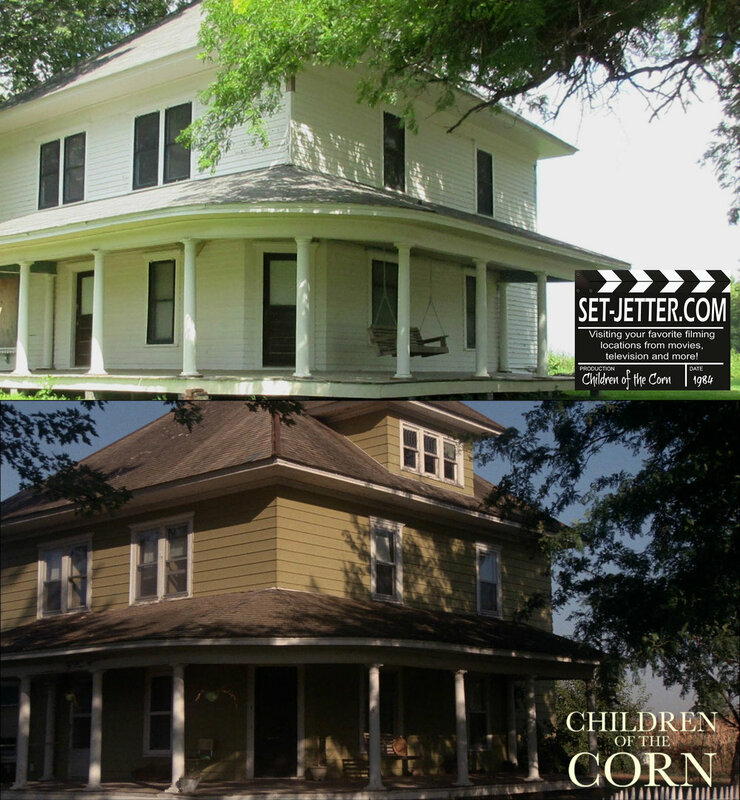 The exterior was located at 103 Sergeant Square Drive in Sergeant Bluff, Iowa. 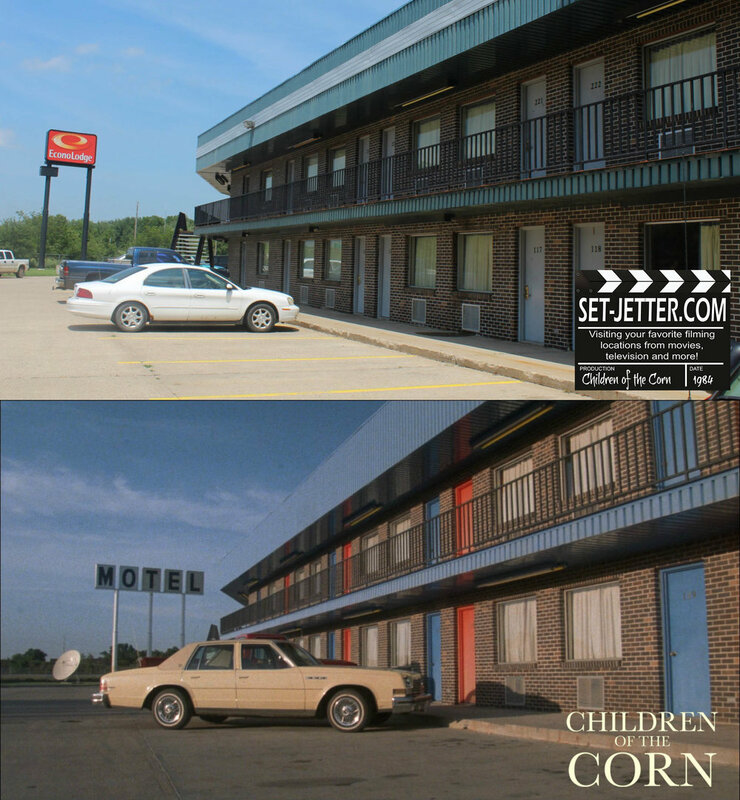 However, the interiors were shot several miles north at the Holiday Inn at 701 Gordon Drive in Sioux City. 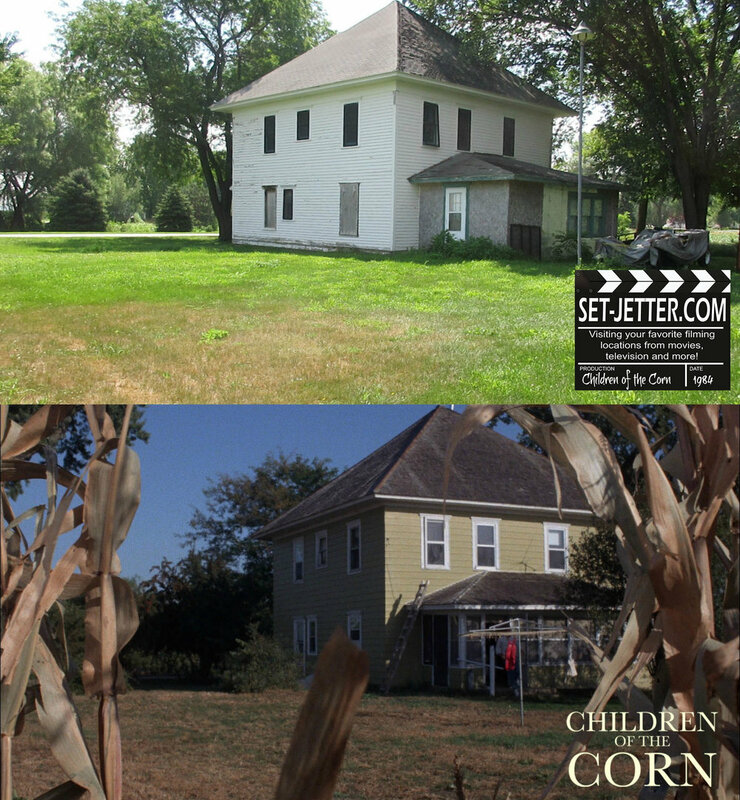 We get our first shot of the house, located in Hornick, Iowa, at the corner of Moville Blacktop and 325th Streets. 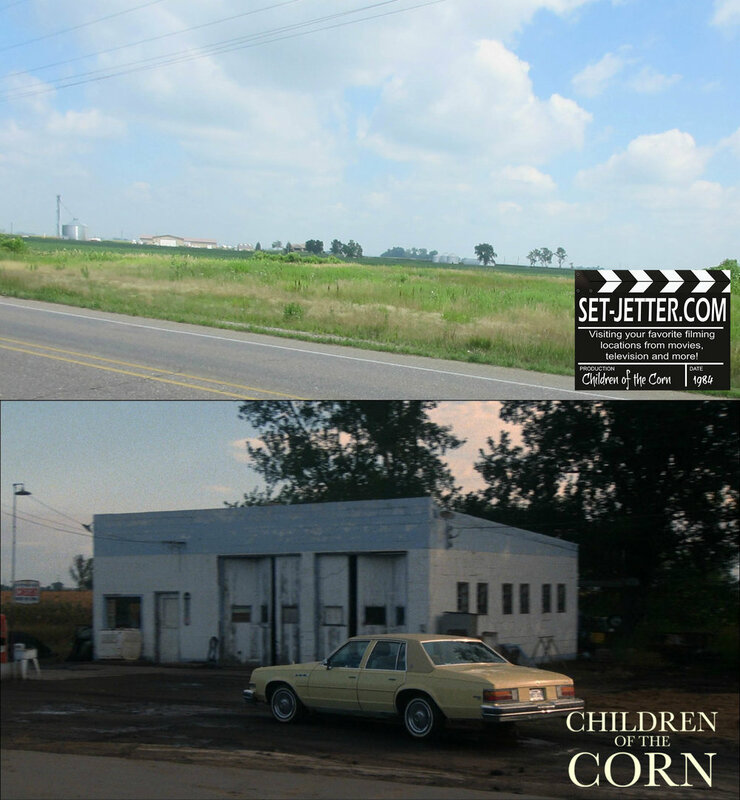 Burt and Vicky stop by the gas station, another that that has since been demolished. 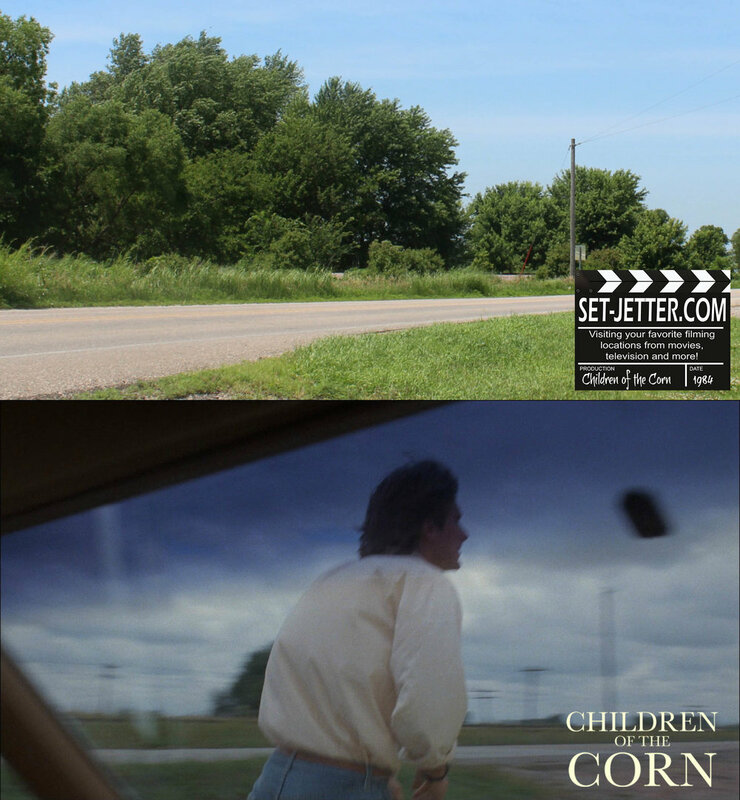 It was located at the corner of Old Highway 75 and Tipton Street in Salix, Iowa. 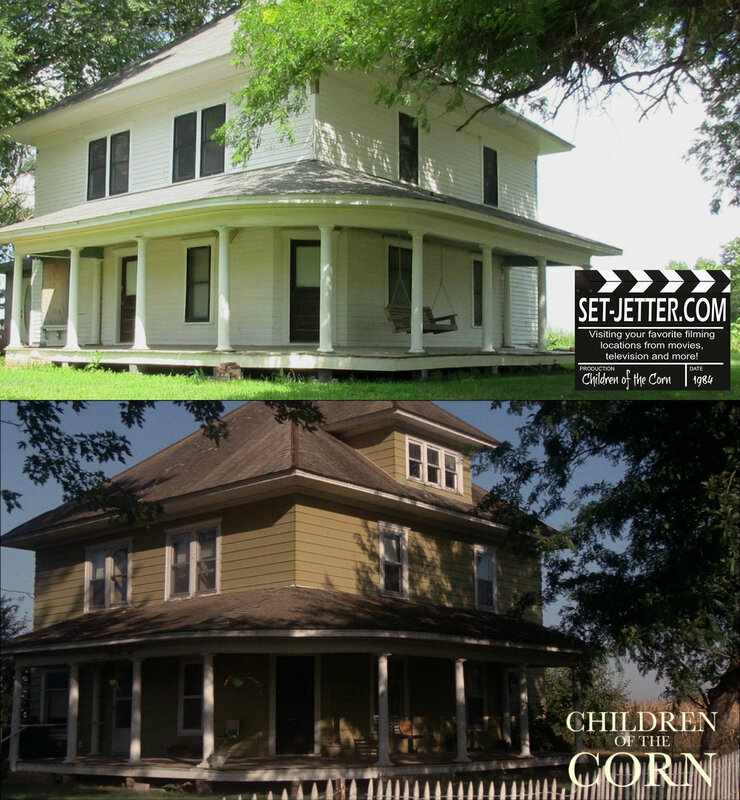 Back to the Hornick house. 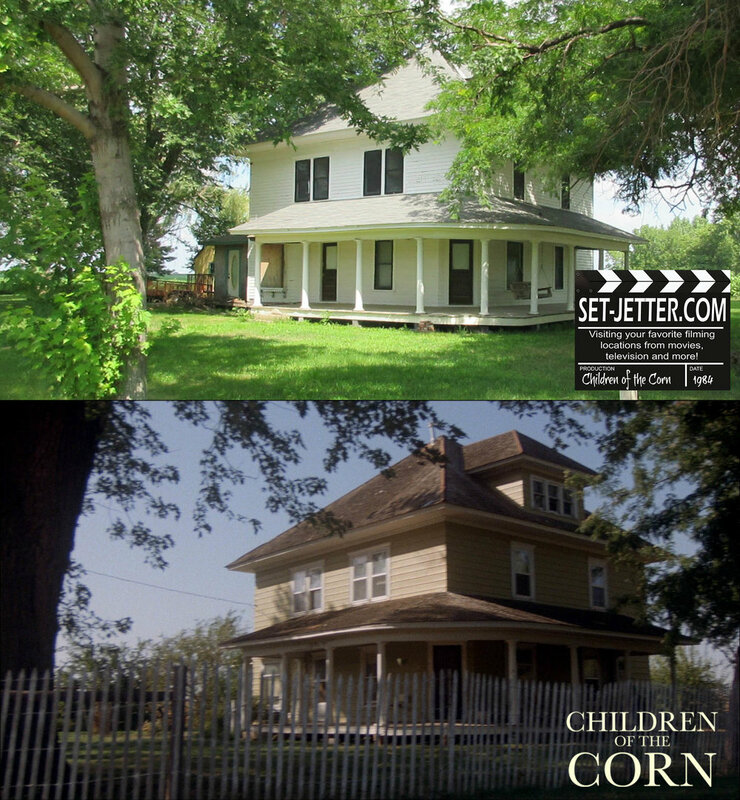 The interiors were shot in a different house in Sioux City, Iowa. 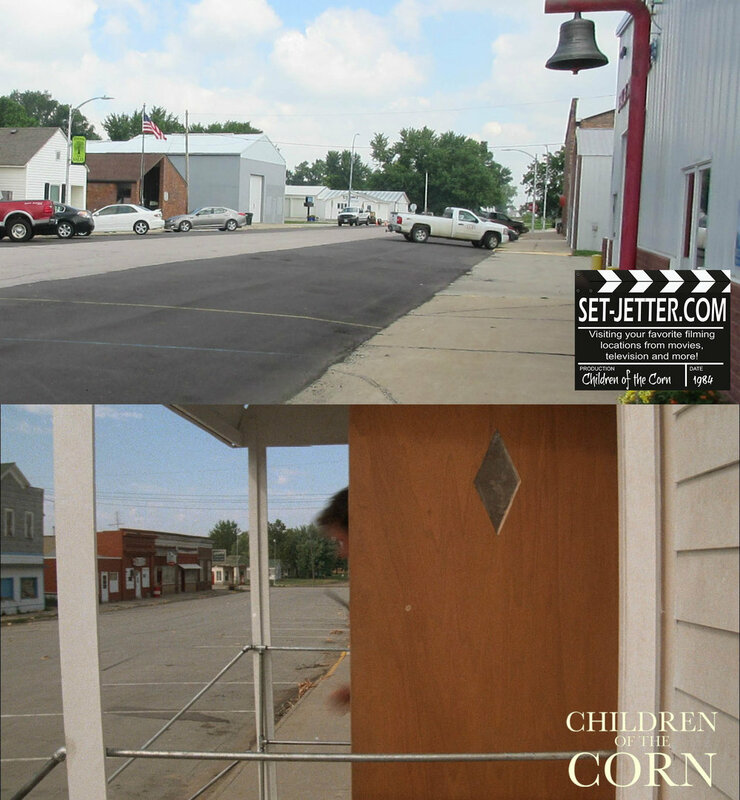 The next shot is next to the house, looking up the street into town. 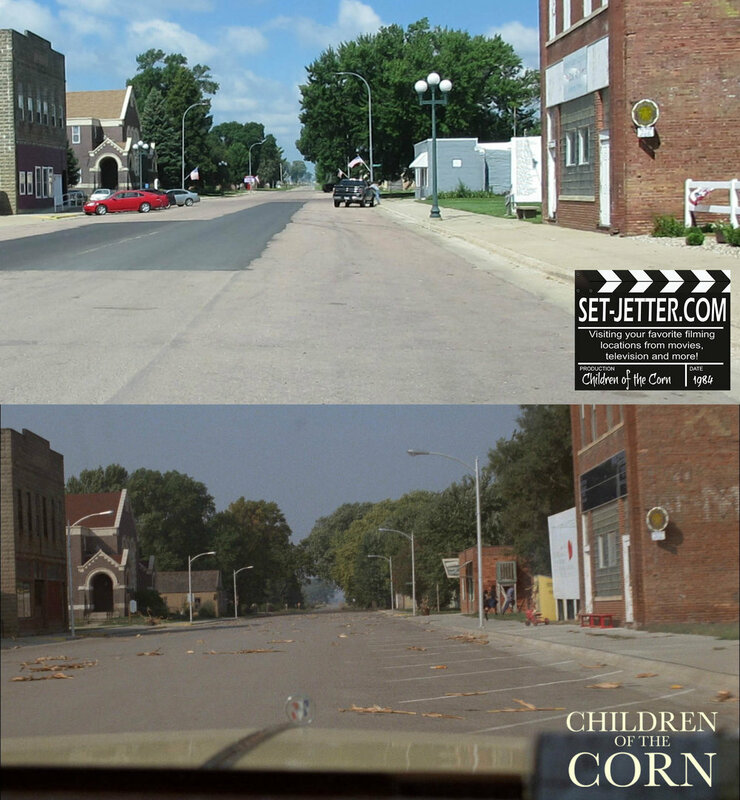 The grain elevators are long gone. 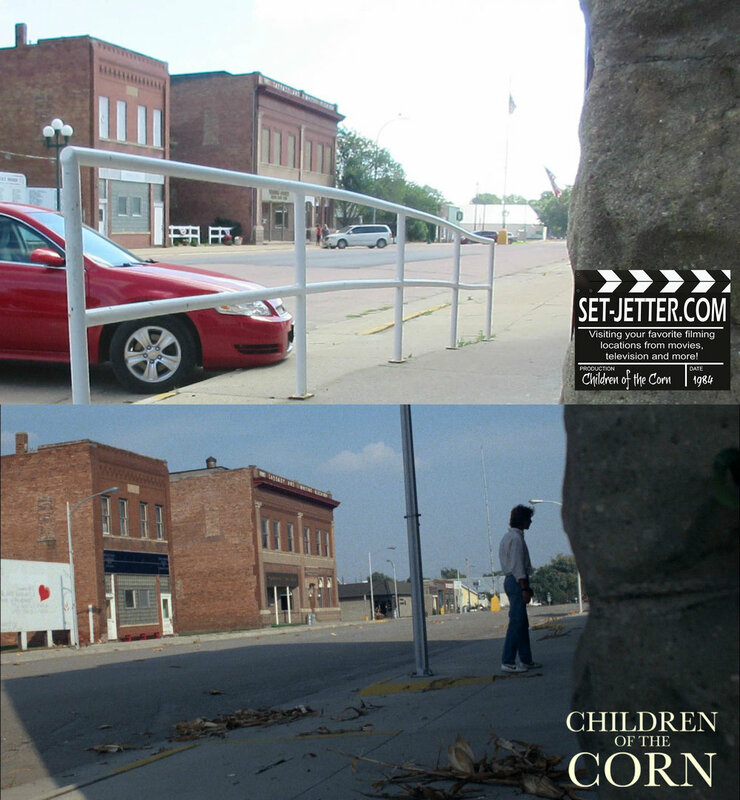 Their point-of-view shot quickly switches to a different town, near the corner of Poplar and Tipton Street in Salix, Iowa. 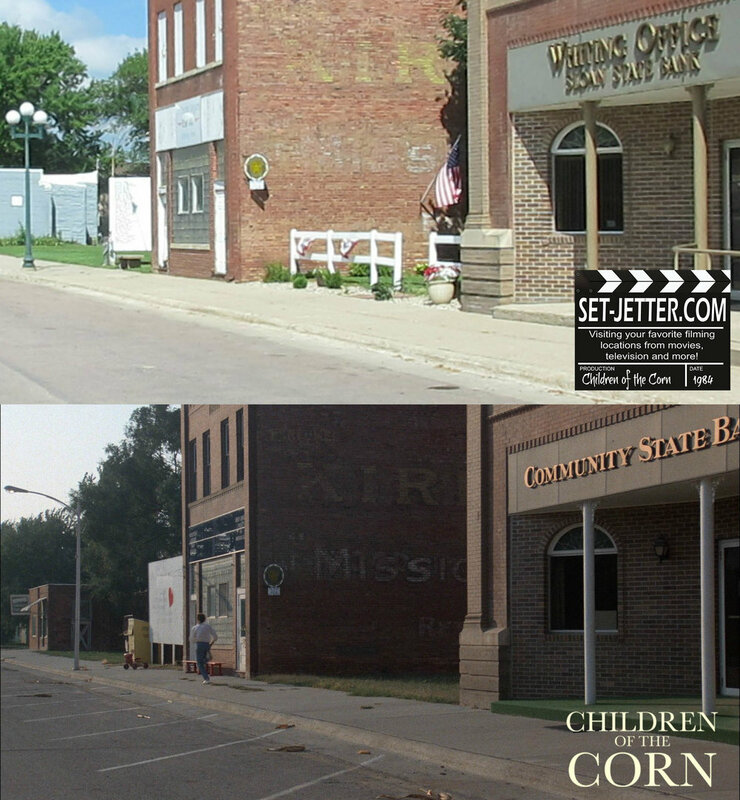 Now they are back on Whittier Street in Whiting, Iowa. 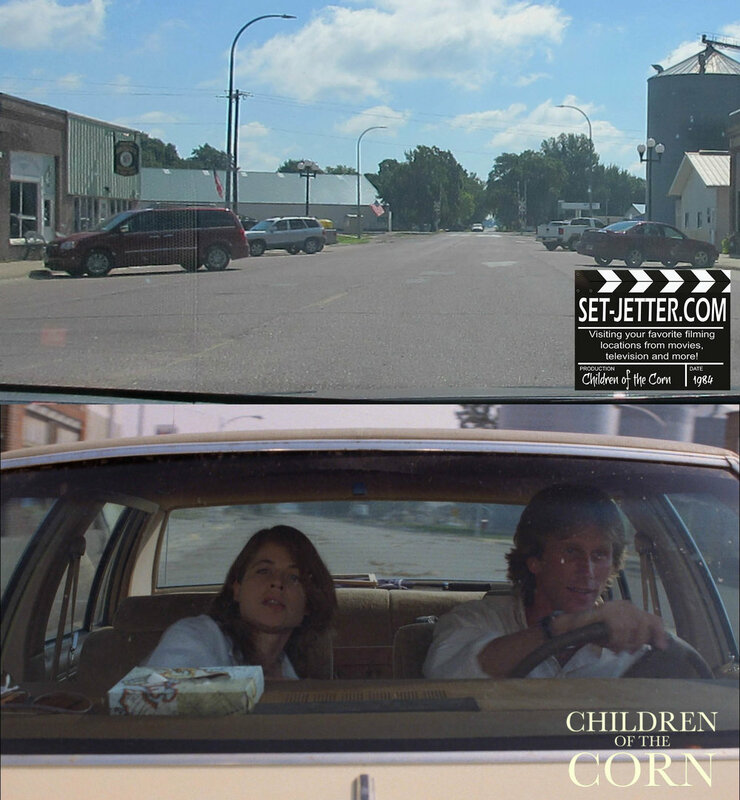 They continue to drive up to the diner exterior, back in Whiting at 620 Whittier Street. 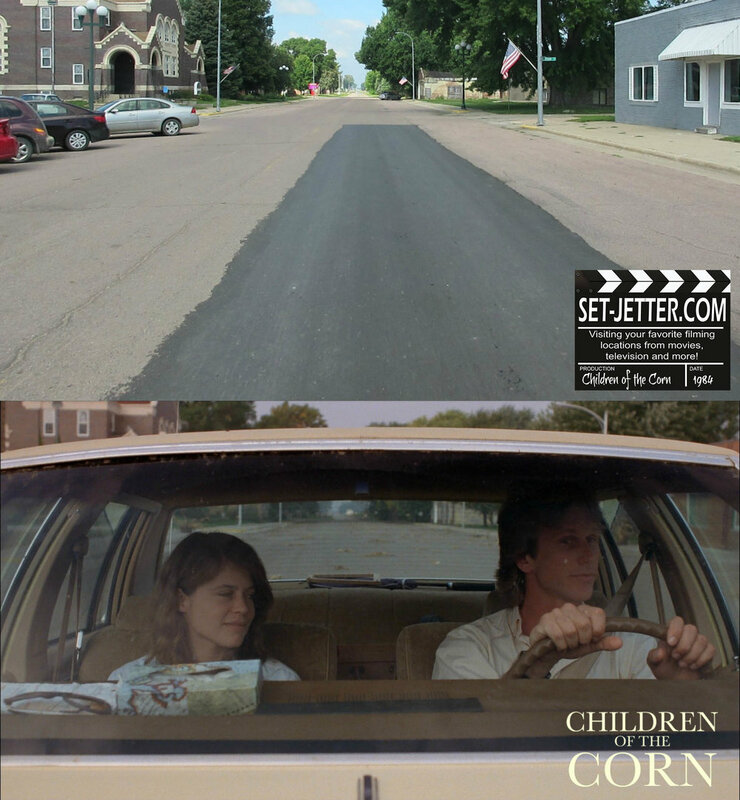 A lot of the film takes place at this intersection in Whiting. 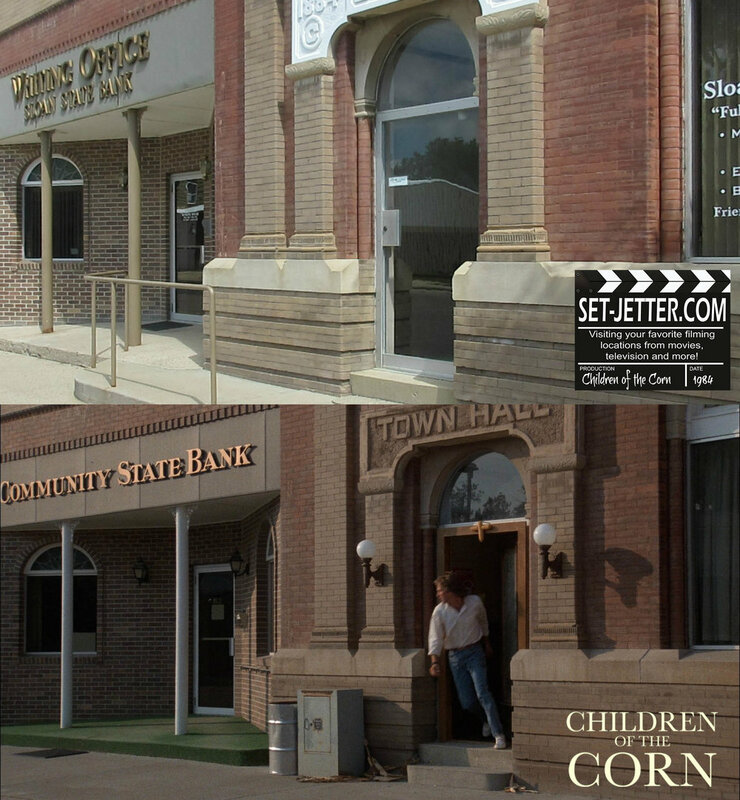 The church interior scenes were shot at the New Freedom Church in Sioux City, Iowa, however the production created the church façade next to a fire station around 317 Tipton Street in Salix. 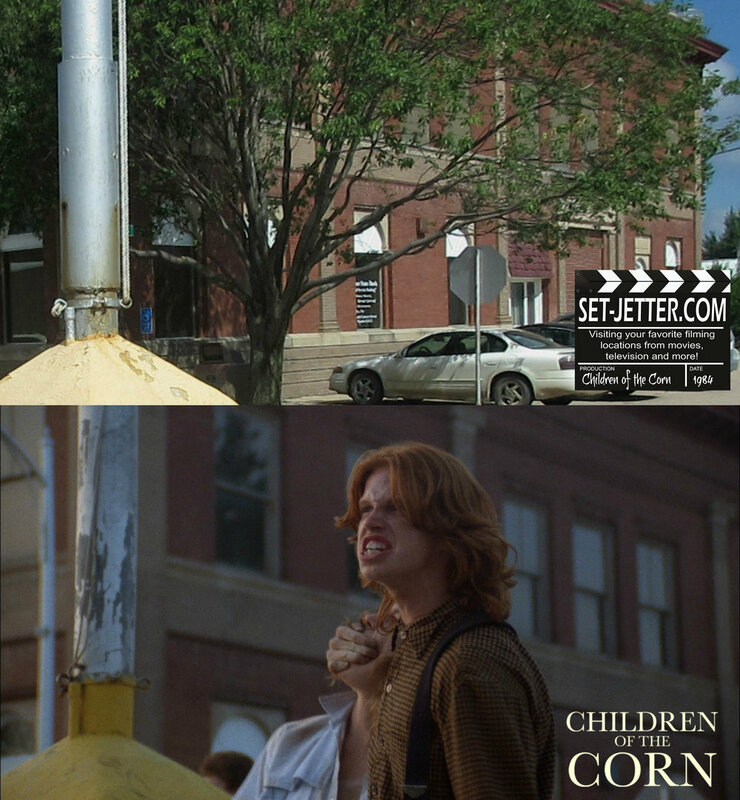 Malachai screams at the outlander near Whiting City Hall on Whittier Street. 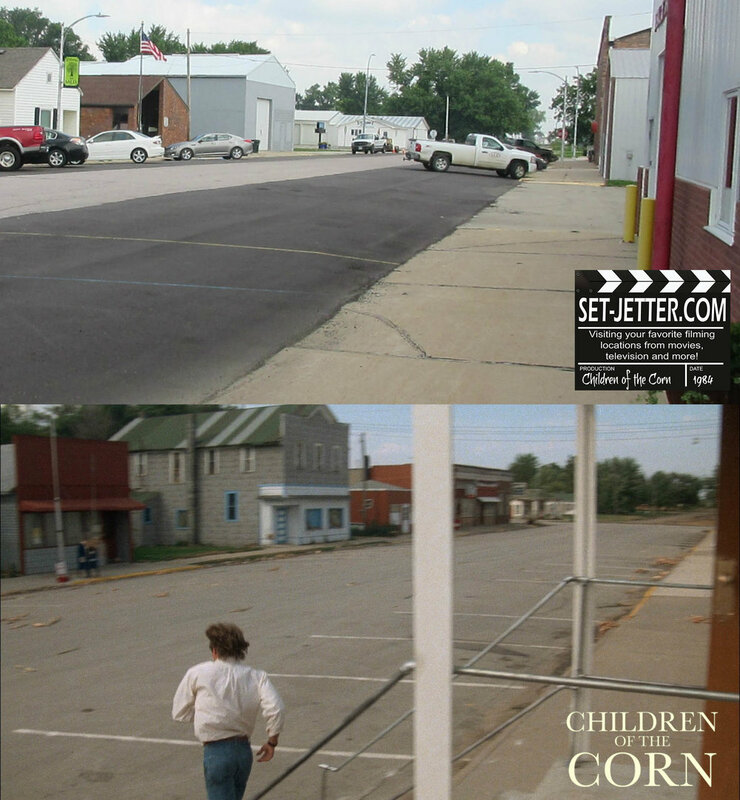 Me and my mentee visited the locations last year and recreated this scene of course! 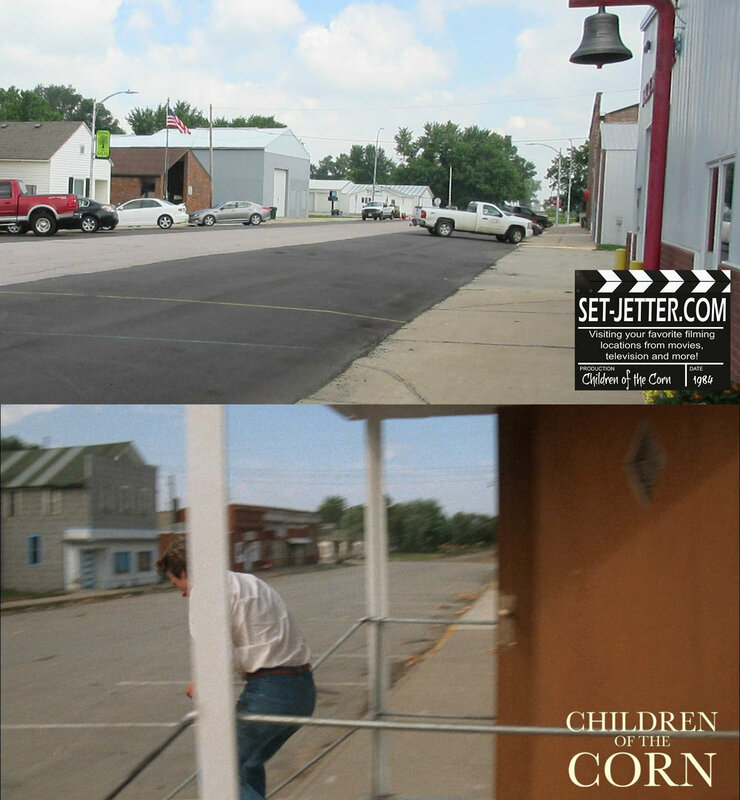 This “alley” is next to the diner exterior. 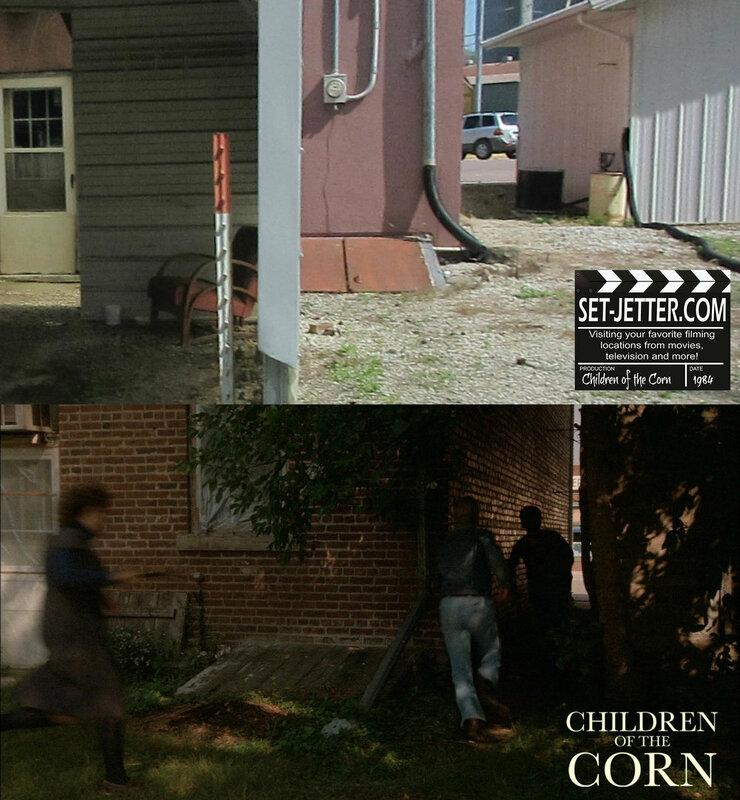 This spot is directly behind the diner exterior. 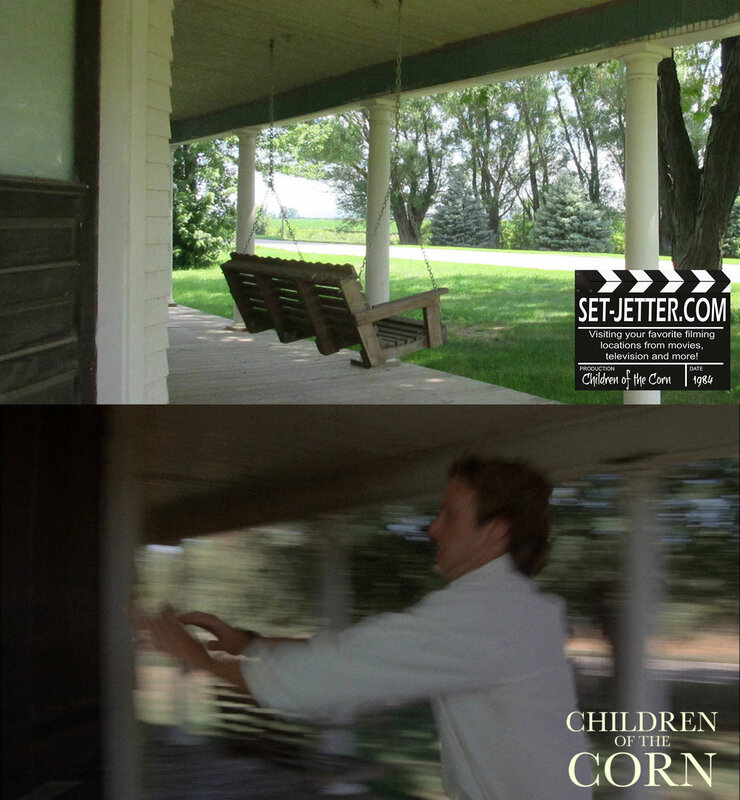 Near the back of the house, a false cellar door was constructed so the actors had to pretend they were coming up stairs. 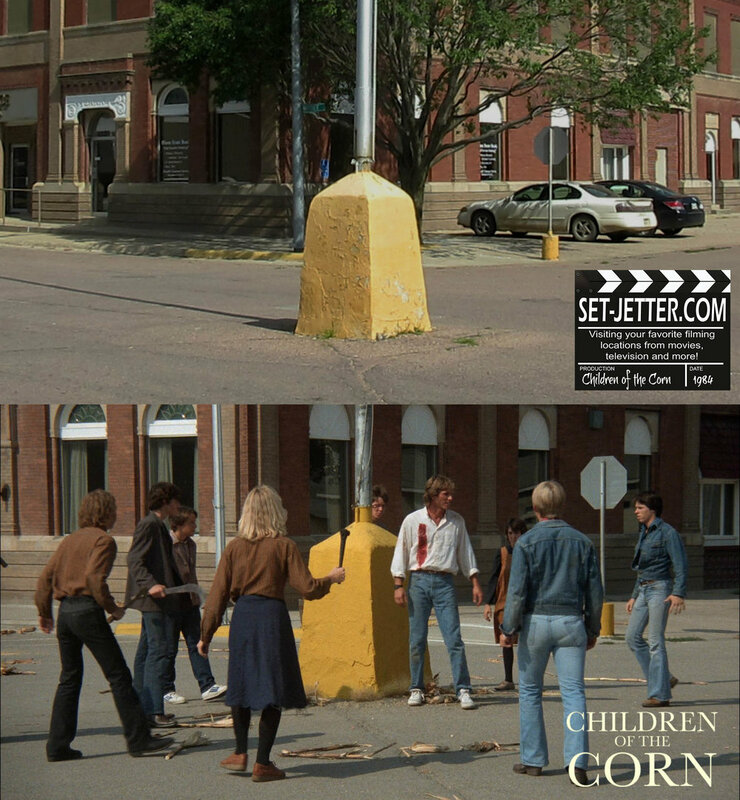 Probably the most recognizable of locations is the flagpole with the large yellow base in the middle of the intersection of Whittier and Blair Streets in Whiting. 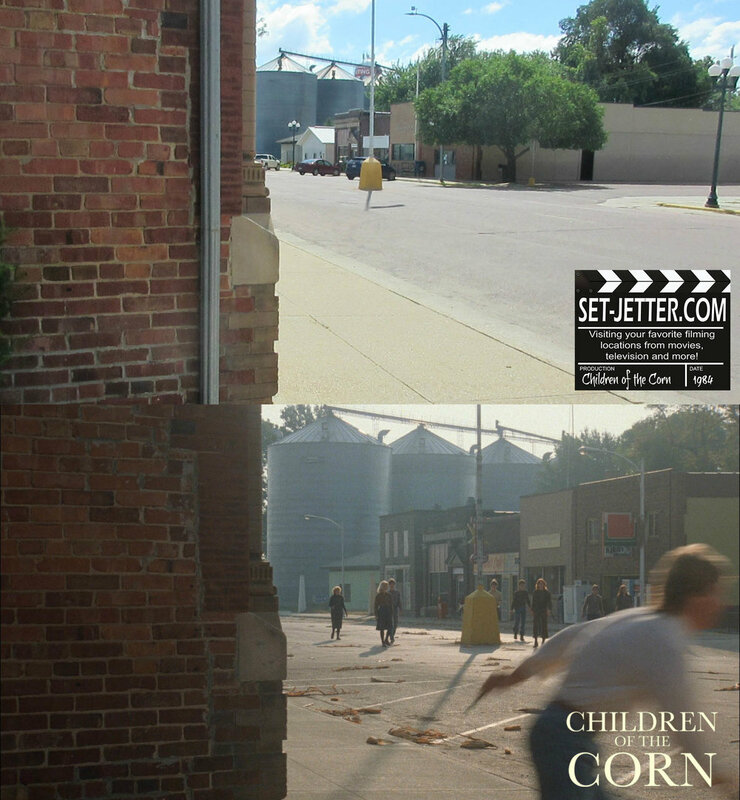 Burt and the kids escape by these silos near 604 Wells Street in Whiting. 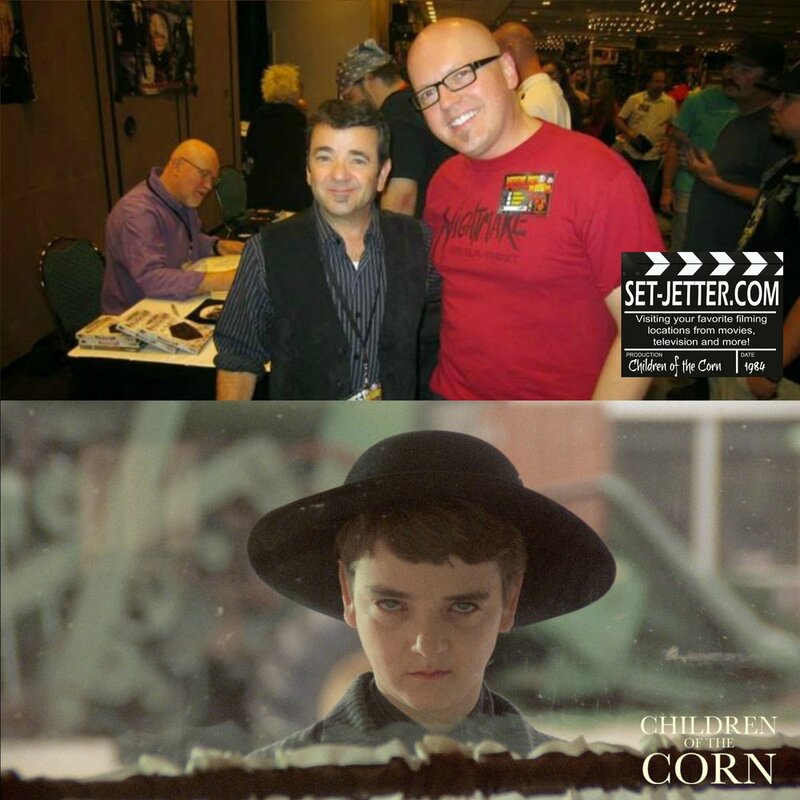 I was fortunate to meet both Isaac (John Franklin) an Malachai (Courtney Gains) from the movie.